Navigation pane in Microsoft Outlook displays an accumulation of all its components. Besides communication, the application is also a Personal Information Manager therefore, it happens to feature; calendar, contacts, notes, etc., too. The segment however, discusses about removing calendars from the Navigation Pane. The issue usually crops up when Outlook lists the recently used calendars in the Calendar Navigation. Read more to know why exactly does this happen and how can one get rid of it completely and not as a workaround. People sometimes encounter a number of calendars being cluttered up in their navigation pane. This results in disorganized items, which ultimately causes inconvenience for the end user in managing their components. These calendars are enlisted under the People's Calendar generally. For not wanting to use these additional calendars any longer, users can remove them from the navigation. 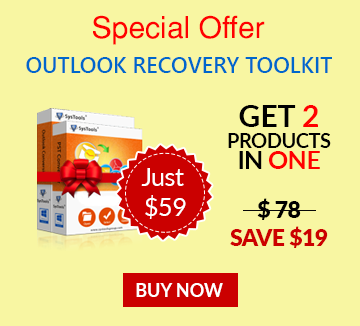 This can be achieved in different ways depending on the version of Outlook in use. You can either go to the Calendar Navigation by clicking on Calendar option or press CTRL + 2 for the same. This will display the calendar list of your Outlook account in groups according to the way they have been last accessed. NOTE: This segment specifically talks about Calendars, however, the same is applicable to other component folders opened from different users like; Tasks, Contacts, or Notes, etc. For removing selective calendar(s) from a group, right click on the calendar and click on 'Delete <name>' / 'Delete Calendar'. NOTE: Don't be confused by the term 'Delete'. The option is used only for the removal of calendar from your list of calendar. It does not mean deletion of the user's calendar. Doing this will remove the user's calendar from showing up in your list of calendars, helping you get rid of additional calendars cluttering up your Calendar's Navigation Pane. In order to get rid of all the additional calendars in one go first start up Outlook. 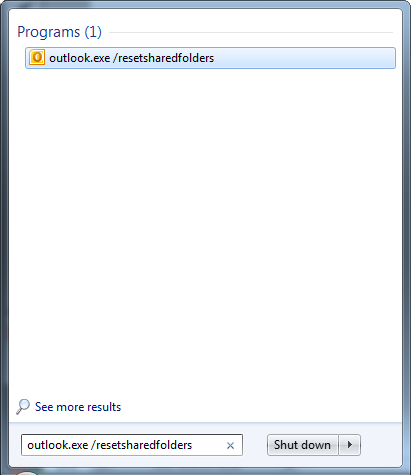 To start Outlook, do not follow the usual method instead use the 'resetsharedfolders' switch. NOTE: Mind the space after exe and before '/'. The switch will not work otherwise. Conclusion: Recently used items are listed in the respective Outlook components just like the Recent Places on Windows lists all the last visited folders and files on the machine. Removing Calendars from the Navigation Pane explained here is a method of only removing them from your list of calendars and not deleting them for the user.